1966 started racing at Fraser’s Mountain Raceway, finished the season as Top Driver and Most Popular Driver. 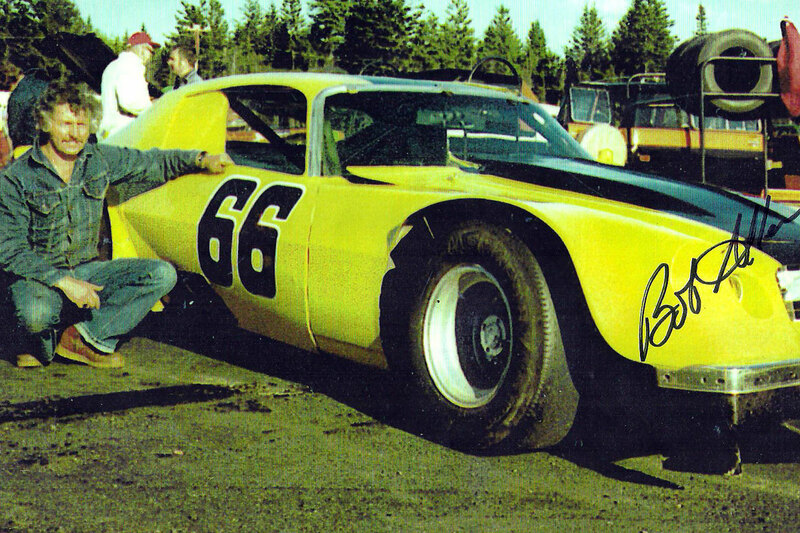 1967 finished second in points and Most Popular Driver at both Fraser’s Mountain and Havre Boucher Speedways. 1969 Fifth in points at Drag City, held track record, fourth in Brookside (NB) International, third in Yarmouth Speedway Invitational, won Riverside Speedway International 100. 1970 sustained a serious back injury at Riverside Speedway and was out for the remainder of season. 1971 crowned Gunstan Cigarettes Maritime Stock Car Champion at Atlantic Speedway, Halifax. 1972 Point Champion at Atlantic Speedway and Riverside Speedway. 1974,’75’76’77 won numerous races at Riverside and Atlantic Speedways. Bobby also raced in Maine at Oxford Plains, Unity and Wiscasset Raceway.